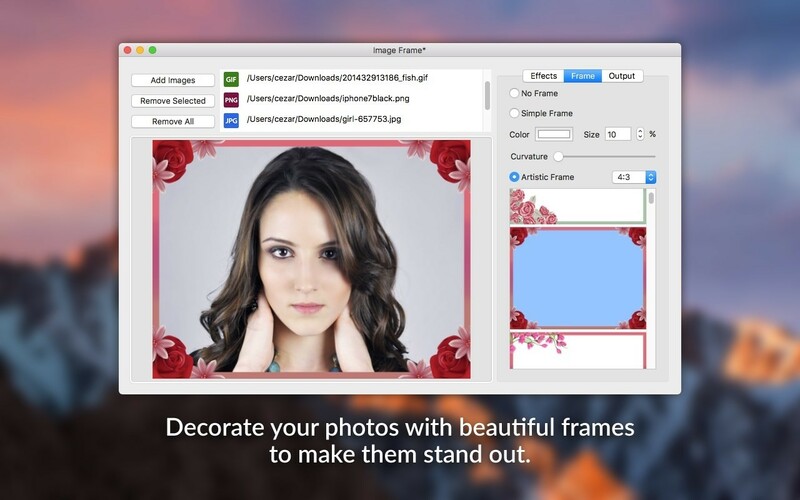 Decorate thousands of image files with wonderful artistic frames in batch mode. Select the images that you want to frame, choose the desired frame design, select the folder where you want your framed images to be saved and you’re done! 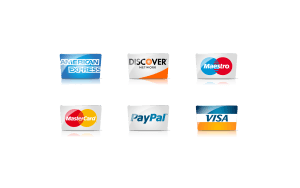 Your images will be decorated in a matter of seconds. Easy and effective. But that is not all, you can also apply artistic effects like Black&White, Sepia, Cartoon or Oil Painting to your images before framing them. This way you can give an artistic touch to your images that combined with a beautiful frame design can definitely make your image collection stand out. 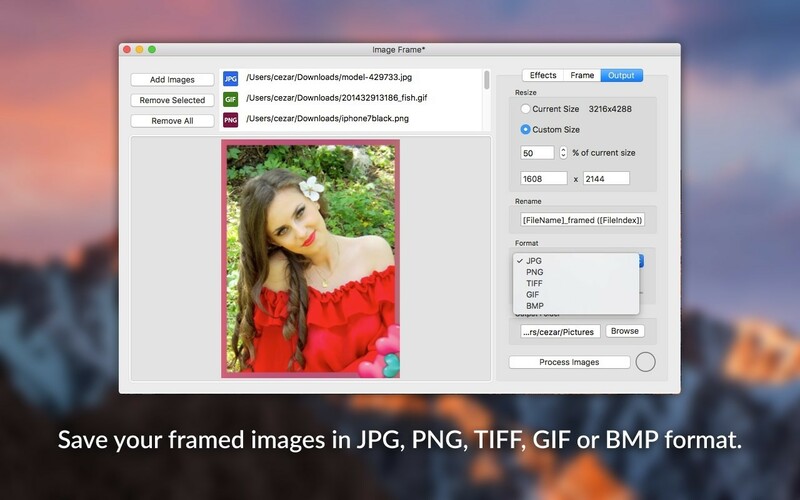 Image Frame lets you export your framed images in JPG, PNG, TIFF, GIF or BMP format. You can also resize your images to reduce their size on disk and optimise them for a specific usage like sending via email or posting on Facebook. Also, if your original image files are poorly named, you can use Image Frame to give them meaningful names so they are easier to find and identify. So get Image Frame today for FREE and decorate your image collection with ease. 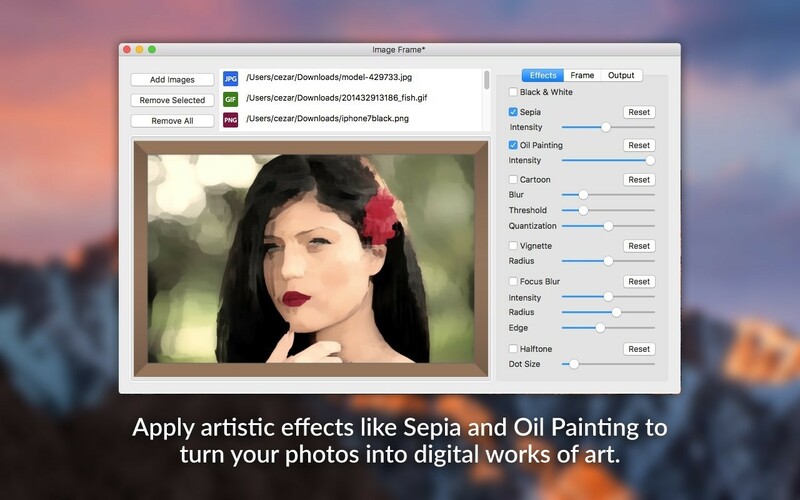 I often use this app to edit my pics, it works very fast and it's easy to use. Amazing!!! I really love this editing tool because it helps me add effects and frames to my photos.